What makes an effective Christian leader? We know our world is hurting for strong Christian leaders, but how can we learn how to become a leader? What better way to learn about effective Christian leadership than by studying the leadership lessons of Jesus. We know that Jesus was a great leader who listened to the voice of the Father and acted upon what he heard. He spent time in prayer asking for the will of God to be done. What other leadership lessons can we learn from Jesus? Many times when we think of a strong leader, we think of someone who is concerned with power. Maybe we think of someone climbing the corporate ladder and stepping on people along the way. However, Jesus was the opposite of that. Jesus was meek, and in the Sermon on the Mount, we are told “Blessed are the Meek”. Some leadership styles use their position of authority to wield power, but the leadership lesson of Jesus is to remain meek and humble. 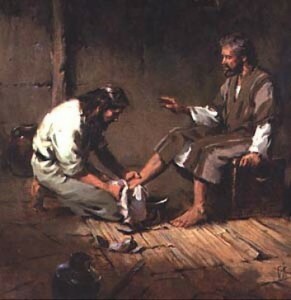 Jesus was here to serve others. He loved people and allowed his schedule to be changed if it meant serving others. We know of stories of people coming up to Jesus and asking for help, and he rearranged his plans and went to help them. People were most important to Jesus. For us, we need to remember to it’s all about people. We are called to love and care for them. It’s not about schedules or completing a check list of objectives. Keeping the focus on people is the mark of a good Spirit-anointed leader. If you are interested in learning more about effective Christian leadership, we encourage you to contact us as Christian Leadership University.